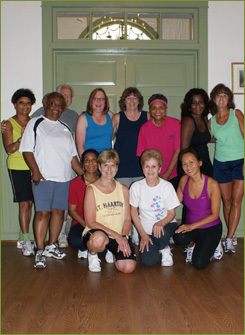 Based in Davidsonville, Maryland, BioFitness offers group exercise classes for clients of all ages and fitness levels. The 60-minute classes improve cardio, strength training, balance, and core strength. We offer classes in convenient locations throughout Anne Arundel, Calvert, and Prince George's Counties in Maryland. 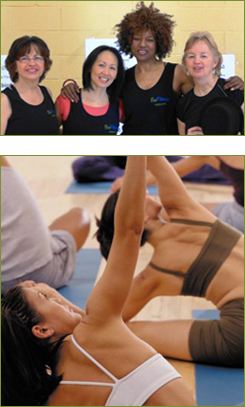 View and download our class schedules, rates, and registration information below. Spring 2019 Session starts March 11th & 12th, 2019. Post Spring 2019 Session starts April 29th, May 1st, 2019. You can download and view the current session flyer for the Anne Arundel County class schedule and registration form. For the convenience of our clients, you can register for the Anne Arundel County Parks and Recreation classes online. The rate is $67 for the six-week, 12-class session that takes place on Monday and Wednesday, or Tuesday and Thursday each week. It is $40. for the seven-week, once-per-week session. You can download and view the current session flyer for the Prince George's County class schedule and registration form. For the convenience of our clients, you can register for the Prince George's County M-NCPPC classes online. The rate is $63 for the sever-week, 14-class session that takes place on Monday and Wednesday, or Tuesday and Thursday each week. It is $35 for the seven-week, one class-per-week session. Please download the current session flyer to view the Calvert County class schedule. You can also register for Calvert County Parks and Recreation classes online. The rate is $59 for the six-week, 12-class session that takes place on Monday and Wednesday each week. It is $39 for the six-week, once-per-week session on either Monday or Wednesday.